Subway Surfers, one of the most played game on Android Phones can now be played on PC as well. 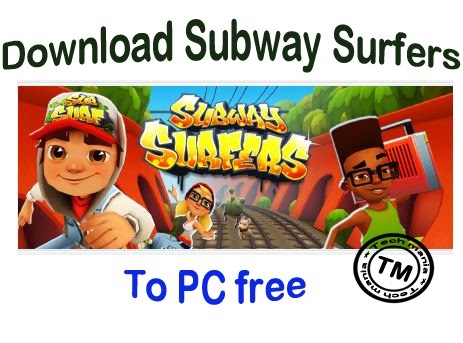 Download Subway Surfers Game for free, Install it on your windows PC and enjoy the game.It can be Installed on Windows 7 /8 /xp 10 or vista. No need of extra softwares required (like Bluestacks ).The only thing is that you cannot get the updates of subway surfers game that is you can play only in one location and that is fixed. Use mouse for directions. If you are interested only in subway surfers game then go for downloading .exe file. If you want to use other android applications like Whatsapp, BBM ,Wechat,Fruit Ninja then best option is Bluestacks. After downloading run the .exe file (downloaded file). I hope you know how to install a file . Left Click and drag the mouse. Note : If you get any Blue stacks Installation Error Read : Fix Bluestacks Graphics Error. Search for Subway Surfers in bluestacks search bar. Here is a guide to download whatsapp to PC. Do the same for subway Surfers ( search for Subway Surfers and install ) and play..
Hope you liked it.. Share it with your friends on social media.. If are having any problems in installation or download link comment below we are here to help you.. I love playing Subway Surfers Game. Thank you for sharing the direct download link for PC without Bluestacks. Thank you Kiran for dropping your comment here. Thanks Ravi for this direct link of SUBWAY SURFERS for pc. it is running nicely without any lag. Thank you srikanta for sharing your views with us.It is the best way to download it directly and play it on your PC. please can anyone tell if this works or not? is there any direct link of temple run for pc? Presently I am also searching for temple run for PC. Temple run is not like subway surfers because it requires motion sensor movements to play the game so I really wonder how it can be played on PC. If I find the link I will definitely post here..
That great game.I love it. Yeah I also love Subway Surfers Game. 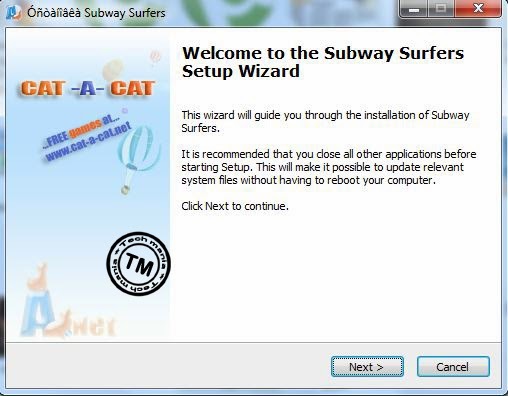 After installation Subway surfers on your PC , when you run you get a window ( one of the screen shot above ) just click the Play and game starts. Download and install Subway surfers directly most probably it runs perfectly. If you wish to update your drivers google them you will get a solution. You need to play SUbwaysurfers from Bluestacks to use keyboard controls. Hi.. how can i adjust the settings so i can play with the keyboard? Is this the full version or demo . Please give the full version . 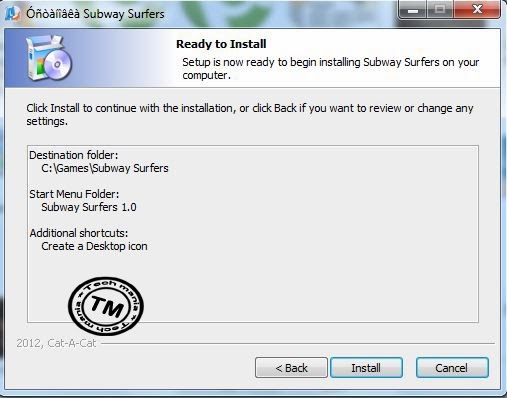 Check the minimum system requirements for playing Subway Surfers on computer. Un-Install and try installing again if problem persist. OMG, Thank You So Much! I could not install the game properly.... after the installation finished if i play it does not show any option to continue to play... anyone can help me?? BUT HOW TO PLAY YAAR,,, WHICH BUTTON DO I PRESS? Thanks, kalau ada yang instal tanpa bluestack tolong di share sekalian ya ? If your system is not supporting bluestacks then you can directly download the .exe file and install on your PC .Before doing this check the minimum system requirements as mentioned in the article above. subway surfers is agood game. playing temple run 2 using bluestacks is not good. it takes very long time to start the game and i become bored. i can't play it ..
what is the size of the .exe file? how much size of the bluestack?